[PDF] Multivariate Density Estimation: Theory, Practice, and Visualization (Wiley, 1992) | Free eBooks Download - EBOOKEE! Posted on 2017-10-16, by luongquocchinh. 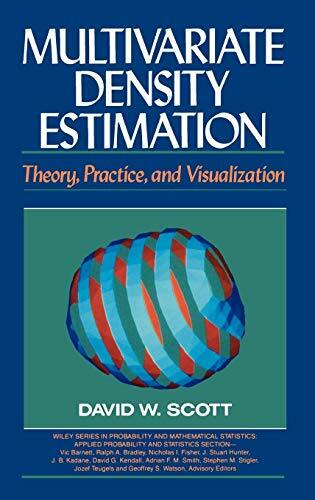 Description: Written to convey an intuitive feel for both theory and practice, its main objective is to illustrate what a powerful tool density estimation can be when used not only with univariate and bivariate data but also in the higher dimensions of trivariate and quadrivariate information. Major concepts are presented in the context of a histogram in order to simplify the treatment of advanced estimators. Features 12 four-color plates, numerous graphic illustrations as well as a multitude of problems and solutions. No comments for "[PDF] Multivariate Density Estimation: Theory, Practice, and Visualization (Wiley, 1992)".